Rehab exercises are commonly given in conjunction with chiropractic care in order to speed the recovery process. 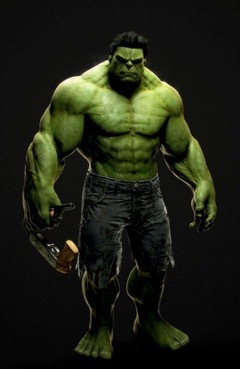 Not many people want to look like the incredible hulk. Although I know some that do. Our goal with rehab exercises is to restore normal function of the muscles and the joints so that pain is eliminated and further degeneration and arthritis is stopped and reversed. None of the exercises that we prescribe have the intended goal of “getting huge”. Simply to restore balance to the body. Many problems and pains that patients get have to do with overuse of certain bodyparts that are not strong enough to withstand the abuse. Another common cause of pain is the complete lack of use which eventually turns into simple muscle imbalances that stress joints and other muscle in ways they are not meant to be stressed. Our Doctors are experts in treating all kind of injuries and have an arsenal of exercises to prescribe for the neck, shoulders, elbows, wrists, mid back, lower back, hips, knees, ankles and even for TMJ problems.